Let your guests drool over this metal wall decoration ! A taste of holidays and sunshine with our pineapple metal deco ! The dimensions of this metal fruit sculpture are 50 x 25 cm. This original wall decoration is delivered free in metropolitan France and Belgium. A crispy pineapple one would love to bite in ! 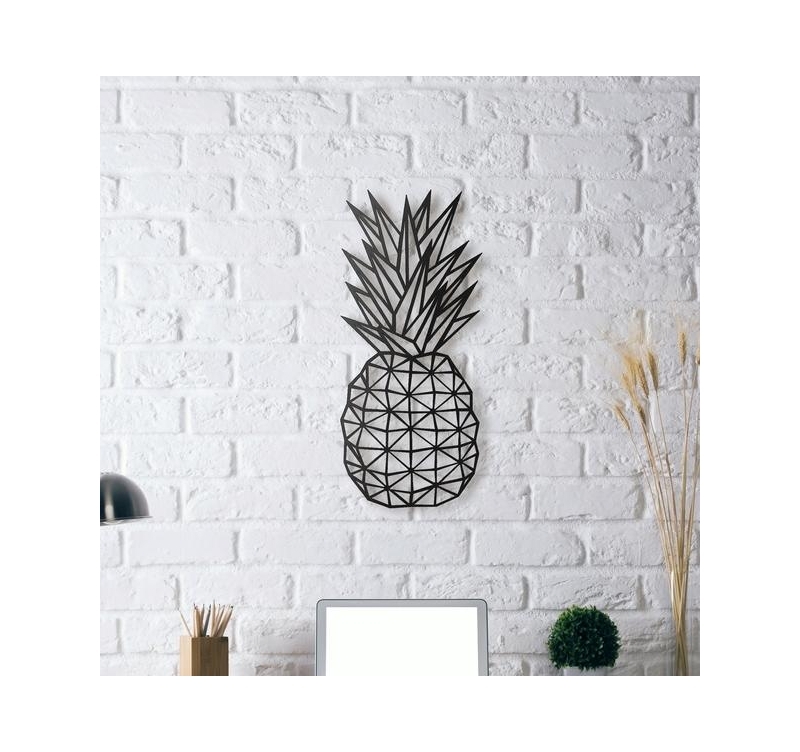 Bring some energy to your interior with this metal wall decoration of a pineapple made with geometrical lines. 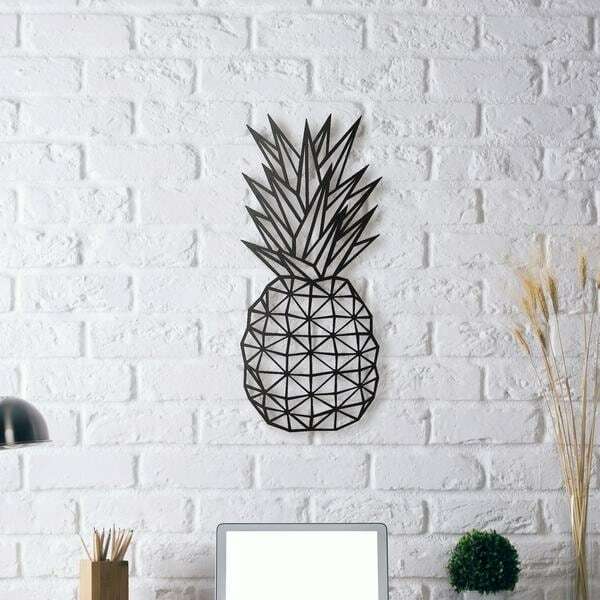 If you want to give your walls an original touch this metal design fruit will be a unique trendy piece to decorate one of your rooms. 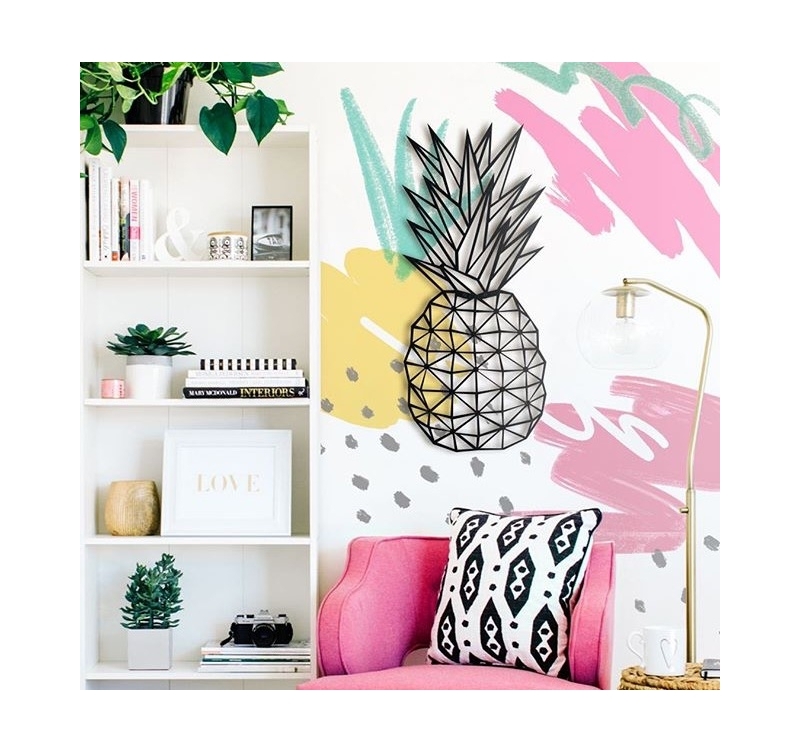 This contemporary deco pineapple can match a deco canvas for a luminous and energetic set. All our metal wall decorations are hand made by our creators and treated with a black finish for a long lasting quality. This modern pineapple wall deco is wrapped in foam and in a protective cardboard box for a safer delivery.